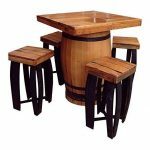 Approx dimensions Table -105 cm tall and 90 cm wide – Stools 71 cm tall. 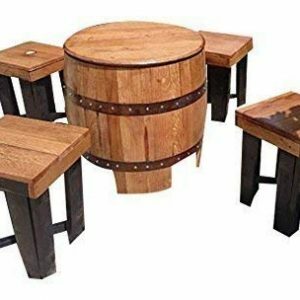 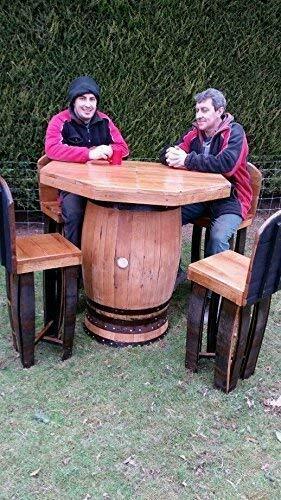 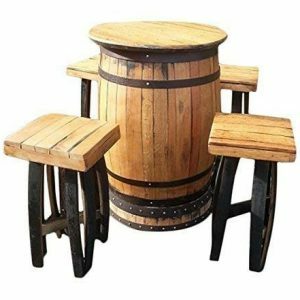 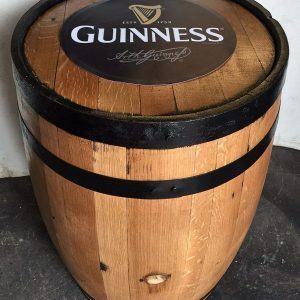 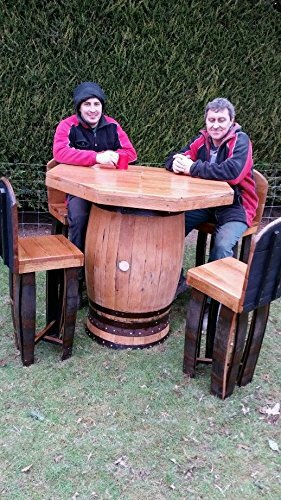 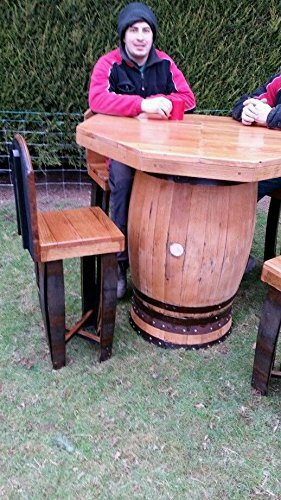 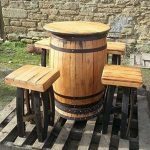 This beautiful table and stool set is hand made from recycled genuine Scottish Whisky casks. Wood has been sanded back to a beautiful aged oak finish and varnished.